Houston, TX – On November 5th, Houstonians will have the opportunity to vote to elect many city officials, including mayor and city council. I have made it no secret that I believe that Annise Parker has totally failed to even attempt to keep her No Kill campaign promises to Houstonians. When Parker took office, BARC / city of Houston leadership, was perfectly poised to dramatically increase BARC’s save rates. Gerry Fusco had fired 70+ HORRENDOUS employees and Nathan Winograd had assessed BARC and given the city a 196 page report detailing exactly how to increase life saving. We should have seen a dramatic rise in BARC’s Save Rates. Instead, BARC leadership ignored Winograd’s recommendations, and BARC’s Save Rates actually decreased every year for 3 years. BARC’s Save Rate was a shockingly low 42% in 2012. A couple weeks ago, a few animal advocates and I, met with mayoral candidate, Ben Hall, to talk about his stance on sheltering issues and BARC, in particular. We talked for a long time about a lot of different options….. all better than the situation that we have now. I am convinced that he is appalled by the sky high kill rates at BARC, and am I convinced that he is committed to implementing the No Kill model of sheltering in Houston. In fact, Mr. Hall’s position statement committing to a No Kill policy for Houston is posted here. No Kill Texas Advocates has also endorsed Ben Hall for Mayor of Houston. Dr. Benjamin L. Hall, III is a Harvard-trained lawyer who founded The Hall Law Firm in 2000. Dr. Hall obtained a J.D. from Harvard Law School in June 1986; a Ph.D from Duke University Graduate School in May 1985; a Masters of Divinity degree from Duke Divinity School in September 1979; and, a B.A. from the University of South Carolina in September 1977. Animal issues have been a concern for Mr. Hall for many years. For instance, his doctoral dissertation “A Reverence for Life” involved animal issues. You an read his dissertation here. I believe that Mr. Hall is genuinely committed to dragging Houston out of the dark ages of catch and kill sheltering and that he is committed to making No Kill the policy in Houston. 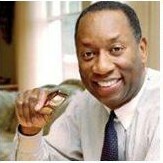 Ben Hall is the best candidate to help us save the lives of Houston’s shelter pets. I urge every animal lover to vote for Ben Hall for Mayor. I will! I did research (non-animal-related) on HISD and City Council candidates, too, and on the propositions, so I’m ready to roll. I’ll send this to a friend right now; she’s working at the polls so I am pretty sure she has waited ’til tomorrow to vote.